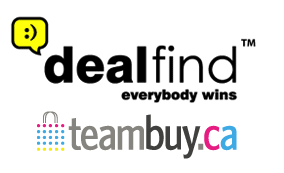 TORONTO, Dec. 23, 2011, /CNW/ – Dealfind, the third-ranked group buying site in North America, announced today the launch of ‘Dealfind Travel,’ enabling travel partners to reach customers with timely deals on hotel and all-inclusive travel packages. Users can find these deals under a new tab on the website featuring ‘Dealfind Travel’ offerings. Typical deals include discounts on hotel and resort overnight stays as well as all-inclusive packages that include a combination of overnight stays, spa treatments, restaurant credits and more. Discounts on transportation, activities, and airfare will also be featured in the upcoming months. The Dealfind travel team is working with travel partners to develop the most interesting and timely deals to draw in customers and get the most from these promotions. “We go after deals we would personally buy ourselves or give to our friends and family. These year-round deals can help travelers take a trip and visit a destination they never have been to before – or go back to a destination they have been to before, but this time at a much lower cost,” says Lipovetsky. Dealfind also joined Google Offers partner program and launched its mobile app for iPhone and Android users, giving access to daily deals anywhere, anytime. The company has now saved North Americans more than $400 million through more than 1.7 million vouchers since its founding in 2009. For more information on ‘Dealfind Travel,’ visit http://www.dealfind.com and click the travel tab to select your city. Businesses interested in partnering with Dealfind can apply online at http://dealfindbusiness.com/form_getstarted.asp. The new Dealfind mobile app can be downloaded in the Apple iTunes Store and Android Market. Dealfind is the third-ranked group buying website on the North American Daily Deal Media Power Rankings, operating in 70 markets in Canada and the U.S. It has sold more than 1.7 million vouchers since 2010, saving consumers more than $400 million. Privately held, Dealfind boasts refundable group buying vouchers, as well as full customer service support. The Toronto-based company is a member of the Google Offers partner program and provides small and medium-sized enterprises the opportunity to cost-effectively gain new and repeat customers through smart online marketing and referral programs. Ranking is according to North American Daily Deal Media Power Rankings, a proprietary ranking and verification system launched by Daily Deal Media in May 2011. Daily Deal Media is the authoritative source for news, data, and resources for the Daily Deal industry.